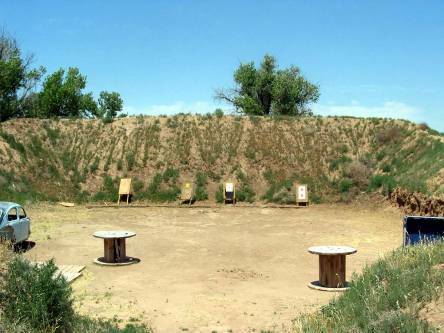 The Club’s Action Pistol Ranges (The Pits) are the ‘Fun Ranges’ located in the middle of the Club property between the creek and the Benchrest Range. The Pits are used for regularly scheduled competitions (IDPA and USPSA) as well as casual, unsupervised, practical pistol practice by Members and their guests. This is the only range on the Club property where pistol shooting at targets closer than 25 yards is allowed. No plinking at cans or any other objects that could result in a ricochet. All Club and Range rules apply.